Auction extended to Friday, November 9th at Noon! 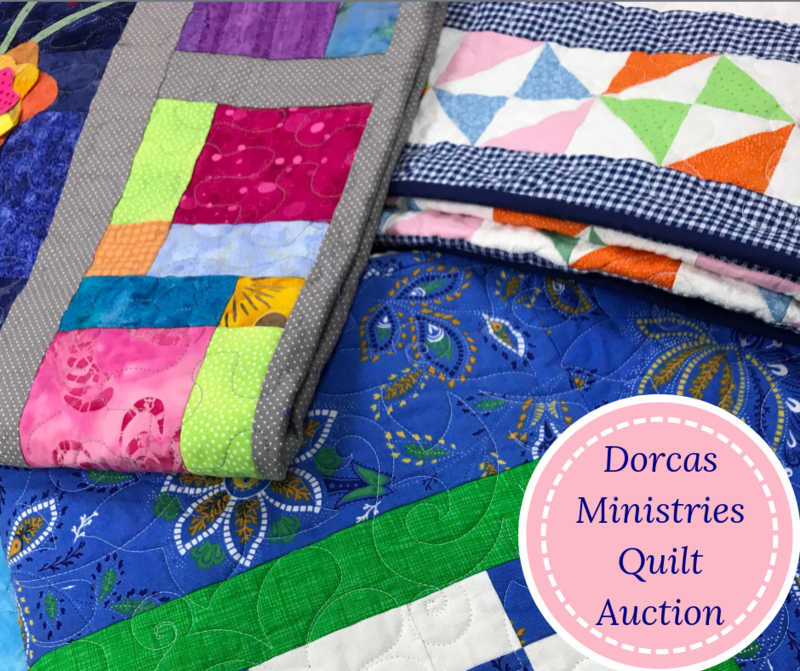 The Quilt Fundraiser is part of Dorcas Ministries 50th Anniversary celebration. This year we had a celebration theme of STITCHING TOGETHER A COMMUNITY – 50 Years of Service. Dorcas is named after a woman from the Bible who made garments for the poor and became notable for her charitable work. (Acts 9:36-42). Today, Dorcas Ministries provides crisis relief to western Wake County residents who seek stability and self-sufficiency through food and financial aid, scholarships, training programs, referrals, and an affordable thrift shop. Quilts can also be viewed and you can place a bid online. To view the quilts and access the online bidding, click HERE. Bids will be accepted October 22nd starting at 8 AM through November 9th at 12 PM.